There may be different cases where one needs to send email from Google sheets, few of them may be – auto send email once target data is reached, auto send email to whole team, send customized mails with data from sheets based on Email Id etc. click on tools > script editor, A new window opens which contains a code editor. This is where we write apps script code. Save and click run > a dialog pops up for permissions > continue and allow, Mail will be sent to TO address in the code. That’s it you have sent an email programmatically using one line of code! A simple example to show how to send custom emails with data from spreadsheet. Lets say my spreadsheet has some data – Names, emails and score of a team. Goal is to send mails to users along with their score. Go to script editor and start writing code. Then we use for to loop through each user, get their name,email,score and send them an email. To run the script from spreadsheet without opening script editor, I created a button using Insert > drawing > draw a button shape with text send emails > save & close. click on small arrow on top right of the button and assign a script > enter function name. In this case, function name is CustomEmail. Now whenever button is clicked, emails are sent to users. 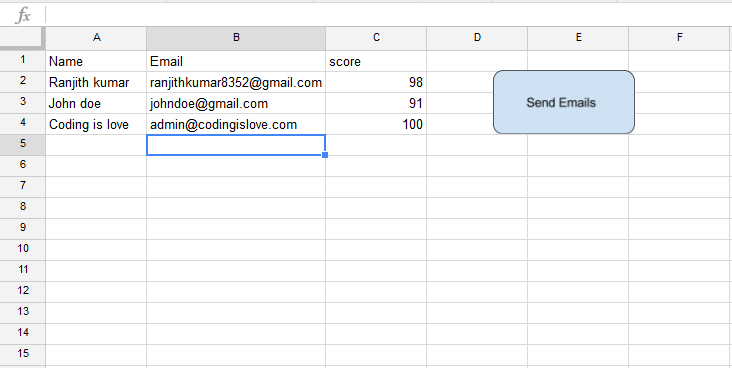 This was a simple use case of sending emails in google sheets, you can add more functionality like making user data range dynamic using getLastRow() method of spreadsheetApp so that when a new user row is added, email will be sent to that user also without changing any code. Example of timed trigger here – Google sheets timed trigger and email notifications example. Next Game that made me play 1000 levels! I’d like to do something very similar to your lesson – but i dont want to send multiple emails, just a single email sent (even by pushing a button) that only sends an email with data from the selected row, or the last row. Hi Adam, you can do that using getActiveRange and getRow methods. Hope that helps, Let me know! I hope someone in here can help me. I need a script that can send an emails to 2 specific email adresses. the mail must contain the latest entry to a google sheet (comming from a google form). So that whenever someone makes an entry in forms, which sends the data to the sheet, and the script then sends an email with only the latest data. Are you able to send all of the sheets content to an email? Did you mean the whole sheet? It depends on the character limit of email. If you want to send whole sheet then why not just share a link to the sheet! Can I know whats your use case? I am thinking of using the sheet as a type of order form if possible. The user receives the link, populates the sheet and is able to send directly to me by the click of a button. May not be possible, but just brainstorming ideas. You can create an order form in google forms, send it to user. When he fills in the form you will get an email of new order and user will get an order success email. Detailed explanation in the above link! Hey, This is lovely script. I tested and it worked the test code. in the above template, you can see there is auto field(merge name field) and after every line there is a [enter] a line break, how to do that? You can just use a line break character “\n” or send HTML email instead of plain text email. I have over 5000 list of rows in my google sheet. Each row with one email address. Now with your given code, how i can format the line breaks etc.. and how to manage that i paste your given or helped code, save it, press run and close the sheet/switch off computer.. will this code still work to keep sending mails. How to manage that in one hour, maximum of 20 emails goes… and the mails keeps on going, 20 an hour, till the time total 5000 records not mailed. And MailApp from Apps script is not the right solution for such huge data. 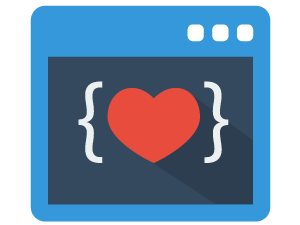 You should try to use a dedicated Email service with API which supports bulk emails and call it using UrlFetchApp. Few Email services with API are – SendGrid, SparkPost, Mailgun. These services support HTML emails. You can use <br> tag to add a link break. its okay for 100 emails.. but how to do that. how can i restrict in this case to 5emails per hour, non stop until the whole data is been emailed.? code is fine and i will either learn or try to hire someone..
but can you kindly help with, what is hourly trigger. how to? Very interesting stuff! This got me thinking, if I wanted to make a script that copies the “to”, “subject” and “body” components from cells, how would I go about that? Specifically, I have a report sheet containing data that is to be emailed each night. The title is generated through a function in, lets say, A1, the addresses are contained in A2 and the body contained in cells A3:B8. Is there a way to copy this data into their respective fields in the email? So far, I haven’t had much luck. Didn’t you see the second example (practical use case) in the post? It’s almost the same as your use case. It takes “TO” address and other details from cells in the sheet. The practical use example is rather similar, you’re right, except the data arrangement looks pretty different in my case. And, admittedly, my rudimentary coding skills are not helping me at all at this point. This shows the data arrangement. The body is B30:C48, the subject is in E34 and the addresses are all listed in E37. And there’s where my headache began, as I can’t figure out how to rework the code in your post to fit the data and can’t actually restructure the sheet to fit the code as other sections can’t be moved. Sorry for the inconvenience, but any help would be greatly appreciated. Can you please post the same on our forum https://forum.codingislove.com/category/8/excel-ninjas along with the existing code that you’ve till now. It’s easier to share code and communicate there. 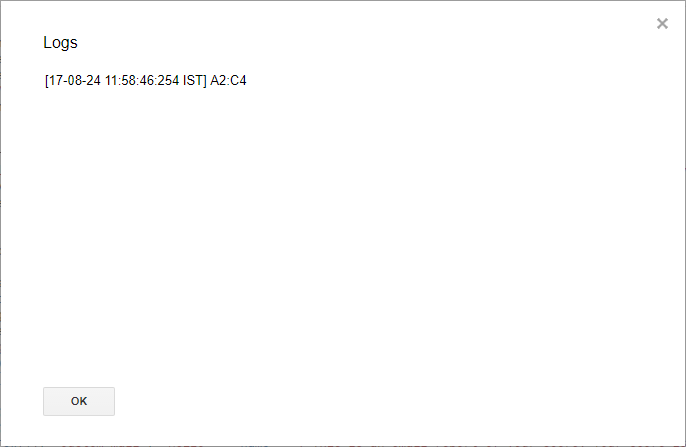 While sending an email, is there any option where the receiver of my email can see the mail sender’s name, i.e. my name ? Email will be sent from your own gmail address. So the receiver can see your name and email. If you want to add your name in body also then you can add it as regular text. Awesome sauce! Is there a way to have the script only look at one of my sheets (tabs) instead of all of them? Also, how could I trigger it to run based on cell contents? For example, if column BG is set to “Completed” then this script runs, but not until then. Thank you for this….your explanation was much easier than anyone else’s. Can you tell me if there is any way to have the “comment” information in an individual cell within Google Sheets be emailed instead of the info just typed in the actual cell? We just want to be able to email the actual comment information that is linked to each individual cell. If you want to get Note then you can do it by using getNote method. Can we send automatic email to a person once a certain cell is change? without clicking run on the scripts? For example the status was changed from pending to completed, an email will be sent to the person that their order was completed. Something like that. Hope to hear from you soon. It’s pretty much the same use case. I would like to send out an HTML email once a certain cell value changes. And the email should be customised based on the values in the sheet columns. Could you tell me how I go about doing this? Same query has been requested by few others in the comments above. I will be writing a detailed tutorial on this topic soon. Meanwhile, try it out using above hint. I`ve seen your codes, very good. I have a question for you. I have a Google sheet, which gets new data from Appsheet ( app making program). The sheet has 8 collums. Im wondering if its possible to make a script that sends each new entry (1 row 1-8) on email to a specific email adress containing the information which is in those 8 collums. The current example in this post which sends emails to users with score is similar to your requirement. You just have to add few extra columns. But triggering email when new data is added should be done using “onChange” trigger. I’ll be writing about this soon. Meanwhile you have to try it out on your own by reading the documentation. Hi Ranjith, loved your original custom emails tutorial! I teach at an international school and I want to be able to send emails to parents if their child gets below a certain score. So, it would be like your original example but the email is only sent depending on a condition. For example my scores are all out of a maximum 8 but I only want to send the email if the score is <3. I have tried adding in an IF condition but emails are still sent to everyone! Any idea how this could be done? I could senf you a screenshot of the code I have written? Ok great!! I just did it as well and posted! Will look through your code and check against mine. This is my first time doing this. Thanks very much for your extremely quick reply, I cannot believe you did this so fast after I posted!!! I want to send e-mail via google spreadsheets using edit box in the sheet and after pressing submit button the content should come in my mail. I am able to receive mail but I am not able to receive the content that is entered in the edit box.The data entered in the edit box will be dynamic but the recipient will be same. can you please help me out. Thanks in advance. Hi, Please share your existing code. Trying to use your getLastRow() suggestion… but I get an INVALID EMAIL – UNDEFINED error message when running the below code. Could please have a look? We don’t need last cell and last column here. We only need the last row. The number of columns is always fixed and starting row is always 2 so we just need the last row to make the range dynamic. So whenever you add a new row, that row will also be added to the range. Try out this code! I’m writing a post on that. I’ll publish it soon! Ranjith, if you already have written the post you announced in your reply to VISHWAS DOLE, could you please post a link here? Thanks for this post. I’m wondering how it would be possible to auto-trigger an email be sent when a specified date in a cell gets within 7 days from todays date? My sheet has due dates in a specific column and I would like email reminders to be sent to various individuals (whoever is assigned to that due date) when these due dates fall within 7 days. For the body of the email, I would like to gather data from specific cells within the same row as the corresponding due date. Thanks and I appreciate any guidance you are able to provide. Hi Greg, You can do it using a timed trigger. It takes some time to write code for this. Please share your existing code. I was testing this on a range of cells and was able to get the email to send correctly, but I already have a global OnEdit auto-sort script running on my sheet and using OnEdit for the (below) script conflicts and makes them both inert. I have (or tired to have) it set to pull the client’s name into the email from the column 2 to the left of the targeted/edited cell. The email is also supposed to pull in the date mentioned in the target cell, but for some reason the emails are displaying the date as 1 day prior to the date in the cell. Sorry, I’m replying after a long time. I did not see your reply. OnEdit trigger conflicts can be avoided by checking the range which was edited. Coming to your code, It is hard to debug without looking at the data in your sheet. Can you privately share access to this sheet to my account – [email protected]? I’ll have a look. In the body portion of the script, could you instead call a Gmail template that’s already been created? So instead of the “score” value or the email body, you’d call + template +. When you say Gmail template, Is it a canned response? I’m not sure if you can pull canned responses or not but if you store the message as a draft then you can pull it using GmailApp and use it in the body of the email. Is there any example of how to send an email when a cell value change? I have also tried a form emailer script with this formula but it kept sending emails, I had to remove it after getting 376 emails. Seems to be a parentheses missing from someplace on that line, but I don’t know enough to understand the error message or figure out where I need to place it. Hi Linda, You might have missed something while copying. Also, Make sure to copy the data to sheet also as shown in the image. My actual error was in line 9, forgot to change the word score to my own column heading. But now it says the app is not verified by Google, and that it is unsafe to run. So I’m stuck again! Says you need to have your app approved by Google in order to prevent the warning screen from popping up. Sorry, I think it is calling my coding an “app”, so I ignored it and everything worked as it should! Thanks! My only question now is how to put a period at the end of the last sentence. I’ve tried a couple of things, but it is rejecting my attempts! That’s the fix, thank you! I was close! Hi Thank you for your help! Reading your article, I was able to get my mail app working. However, even though I was able to get it to work – I was wondering if you could explain the variables to me and what they do so I actually understand what is going on. I do not understand the sheet.getRange(2,1) <– what does that reference? What is the Logger.log line? Hi Matthew, The code you are looking at is for sending emails using a dynamic range, When a new row with name, email and score is added then that row should also be used for sending email. getLastRow method gets the last used row in the sheet so we use it to set range till that row. This is great! The code works perfectly. My need is quite simple. I just need a variety of buttons (just a few with peoples names on them) and when pressed, a form email (doesn’t ever need to change, just alerts that something in the database has changed). Your code is perfect for this I just need to know how to associate this script with a button. Hi Jason, I’ve already explained how to associate a script with a button along with a screenshot. Check the code explanation section. I am looking for away to automatically send an email if a cell is edited. The email address is also on the sheet. Any help reviewing this would be great. I have a column called “Assigned To” which is consist of drop down list with 4 names. If I want to send an automatic mail with some text when I will select a name from the list and the mail should go to this person particularly which have been selected fro the list. Is it possible? One more thing that if i will select a name from the 8 th number row randomly instead of serially, then this mail will send or not? Please help me. This is very urgent for me. Thanks for your concern, but still I am getting an error message when I will run this script. It would be better if you will do this sheet from your end and send me a video clip of that. frankly speaking i am not so good in coding sector, so can you please do this for me? If you need my data, then please let me know. I will share with you. for some reason i can not use 4 numbers in the getRange function. Hi Sarah, Did you set the sheet first? That error occurs if sheet is not a valid sheet object. This is a great and easy to understand example. I have my script working to send email, but it sends me all the emails for different dates. What I need is for it to only end the emails on dates stored in a column and save the other rows for later dates. Can you help? Hi Sheila, Please share your code. Hi Ranjith. My name is Juan and from South Africa. New to scripting using Google sheets… Is it possible to add email tracking (when a message is read or opened, without the recipient needing to take any action) as part of the script to send emails from Google Sheets? If so, can you share some code, please! I am a beginner and no idea about coding, i got a error “Missing ; before statement. (line 2, file “Code”)” when i tried to run the code. Hi Dinesh, Make sure to copy the code correctly from the article. Hover on the code snippet above and click on view source icon and then copy code. Thanks a lot once again for your help in learning coding basics. Hi there, great tutorial. I am trying this out but having difficulty in the range of adding more than one ‘score’. e.g. I am needing to send a number of scores per email address. Also when I click send emails, it only sends me the last email in my list and not the other 23 before it. Any ideas? I think the problem is linked to how my range is defined but I have tried a bunch of things and I am quite clueless at this point. row refers to 2nd column and not 1st column. So, Change it to row or move your email to second column. Hope that helps! Thanks for your article, it is very informative. Great stuff. I have a script running but need extra functionality. I have a sequence of 3 possible emails to send out. What I would like is if I get no reply to the first email is to send out the second email in the sequence with the first email added to the footer. Should I get no response to the second email to then send out the third mail with both the first and second emails added as a footer. Hi Jamie, How would you check if you have received the response or not? Is it manual? Just following up on my last message. Is there any way to do this? Great post and thanks for the support you’re giving to the community. Let’s consider your exact same example but changing the Score variable to Deadline (which is a date). I would like to incorporate an If statement so that If the Deadline has passed/or is upcoming an email is sent. Note* the last else is to denote that for all other scenarios, no action should be taken.